© copyright Ruth Beeve. All rights reserved. No image may be duplicated in any way without written permission by the artist. 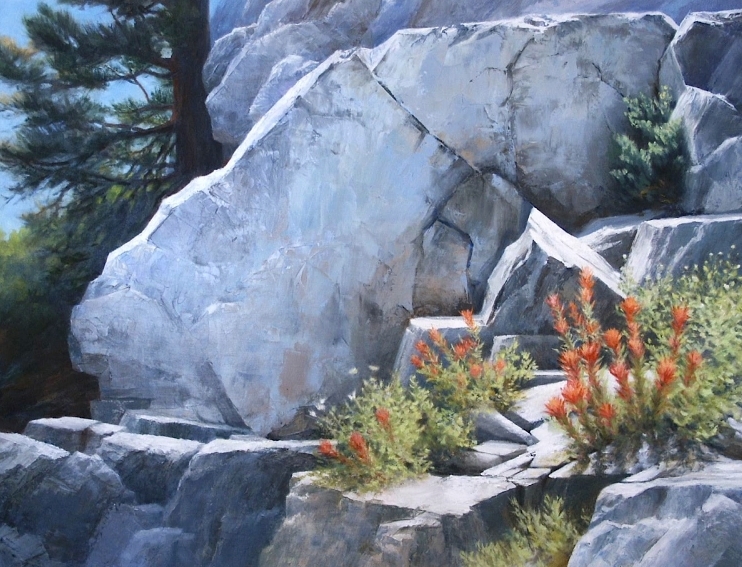 Ruth Beeve is a native Californian, and as such has an endless supply of inspiring places to paint. One such place is the high country of the Sierra Nevada Mountains known as "The Range of Light". With pristine lakes and streams, rugged granite peaks and abundant wildflowers, it is rich with painting possibilities. She paints with oils and watercolors either on location or in the studio of her Concord home.